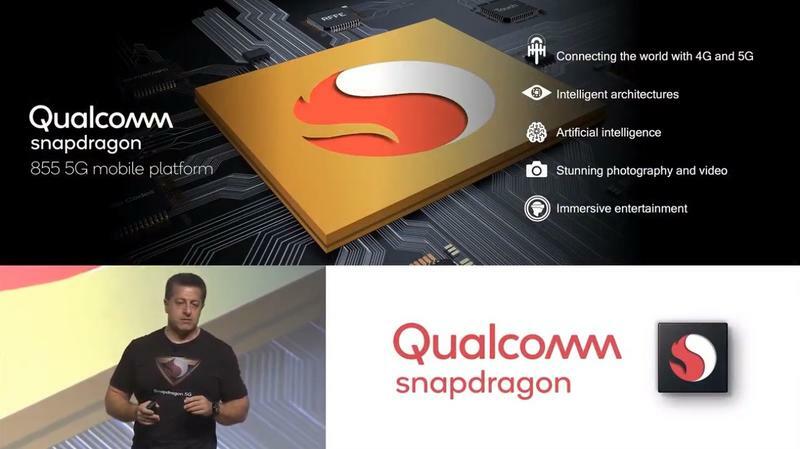 Qualcomm on Tuesday formally introduced the Snapdragon 855 processor, a new mobile chip that supports 5G, powerful on-device AI, and more immersive extended reality (XR). The chip is expected to appear in a wave of phones next year, when 5G technology spreads across the U.S. According to Qualcomm, the new processor will deliver up to three times the AI performance compared to the previous generation. That presumably means devices of the future will be much smarter than they are now, with the ability to further analyze our needs and the scenes around us through machine learning. The chip will also feature a Computer Vision (CV) ISP "to enable cutting-edge computational photography and video capture features," Qualcomm said. One example Qualcomm showed off was of a device taking a picture of an animal and the device returning information about said animal. "It can now recognize who and what you're capturing," Qualcomm said. "It understands and recognizes your full environment, and intelligently set parameters so you can always take the best photos and capture the best videos." How the new chip will affect things like performance, battery life, and more remain to be seen, but Qualcomm appears confident the Snapdragon 855 is a major upgrade over last year's silicon. The company also claims its newest chip offers 2 times the performance over other 7nm chips on the market right now. Finally, Qualcomm also introduced the 3D Sonic Sensor, an ultrasonic fingerprint sensor capable of detect fingerprints through a phone's display. It'll also accurately work "through numerous contaminants," such as water and dirt. Expect the first 5G phones to be available in the first half of 2019.